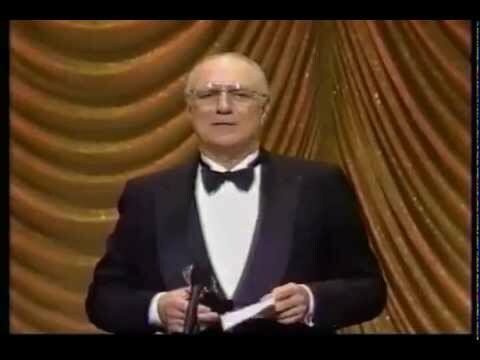 Tony Award-winning actor Philip Bosco died Monday night at his home in Haworth. He was 88 years old. His daughter Celia Bosco said the cause was complications of dementia, multiple news outlets report. The Jersey City native was a Broadway veteran, also well-known from films such as The Savages and Working Girl. He was honored with several Drama Desk and Outer Critics Circle awards, and an Obie Award for lifetime achievement and induction in the Theatre Hall of Fame. Bosco's grandson, Luke Bosco, announced his death on Facebook Tuesday. "My beloved grandfather, an indomitable force in the theater and a man of goodness beyond measure, passed away yesterday evening," he wrote. "We will not soon forget your grace, your courage, your resolute will, or the love which you found so easily all around you."